To find out the how-to, to correctly hiting a pothole in Sudbury, read today`s Sudbury Star. Welcome once again, to the land of Fruitloops. And remember folks for your own good, try/do your best to hit it just right. The biggest idiots aren`t the people on the road. The biggest idiots are the people who think it`s ok to keep these roads in the state they are in, year after year all the while passing the tax bill and tax increases onto the citizens, with the added benefit of having tips provided to the general public on how to best hit the potholes you encounter. Good deal! It is now up to you to use the same routes, memorize the potholes, not swerve to avoid them lest YOU cause an accident and learn to drive right into them. Like I said, welcome to the land of Fruitloops. Next story Do Emergency workers know what they’re really doing? Yep, and when you’re car gets damaged, you all need to sue the city and maybe they’ll smarten up and fix the roads. They don’t pay. I know at least a dozen people who have tried. They just get lip service. Total BS Sherri..there are literally thousands of potholes; they know it. I’m saying total BS on the cities part. They’d don’t want to open the floodgates to many many claims that would have to be paid out yet this useless mayor and city council also don’t look at LONG term solutions to fix the roads. I’ve driven across Canada and the back roads of Saskatchewan and Manitoba are better because they are gravel. They don’t want to fix our roads. That way they get new vehicles. I’m so tired of the City of Greater Sudbury claiming they didn’t know a pot hole was there excuse. With as many vehicles they have on the road daily. Their vehicles are always in shop so they are quite aware of the pot holes. They just don’t care how our city roads are. Shylo Parent it’s almost as though the City of Sudbury has a secret deal with the repair shops around the city!!! Make work project! City crews are using the worst grade of asphalt available. There is no supervision to make sure that the jobs are done correctly. Ben Rinaldo they had to redo part of 144 last summer because they fucked it up the year before. They ministry inspected and made them. New road already crumbling. Do they not get that it is a highway? There are heavy trucks all day long. The quality of asphalt is very poor. Like those guys I seen filling potholes 2 days ago when everything was melting and rain forecasted that night. How do they expect that to stay! We all need to stop paying property taxes. See how long it takes to get results! Kim Parker yah I realize there would be penalties. However the roads are completely unacceptable to mention road maintenance among other things in this city. If you stop to do a general average of how much property tax money alone this city collects, where is the money going if not to road repairs and maintenance??? That’s my question. My husband says it’s like living in a 3rd world country. The job of filling them is a joke. Is that salt I hear hitting my car. Hell no,it’s the pothole filler. Fairly new roads already falling apart. I followed a day truck from blezzard valley to chemmy I had to slow right down. He was going slow too. I thought he was going to tip a couple of times. I hit a couple that threw me into oncoming lane. Is someone going to have to be killed before these roads are fixed and redone properly. There are cracks in the seams were they joined the road. EVERYWHERE it is truly pathetic. How long did they work on Paris street? It has to be impressed upon the GREATER CITY of SUDBURY that Sudburians demand #1, primo, the best asphalt available for our roads. The cost of using #2 , 2nd grade, subpar asphalt over too many yrs, PLUS digging up newly-paved roads a mere 6 wks later, has cost us 3 times more – our property taxes reflect that idiocy. I drove down Regent St from 4 corners to Frood Rd & the “craters” on every lane could have swallowed my whole pickup. Myself & 6 or more vehicles behind were weaving & swerving down Regent like Saturday night drunks. Forget the Elm St bike lanes – spend that $$ Instead on quality asphalt for Notre Dame, Paris, Regent, Elm Streets, & DON’T dig them up a month later!! If the city doesn’t want to pay to fix the roads properly, then they should pay for the damages done to the vehicles because of them. Ashley Trainor they do, if you damage your tires or rims take pictures of your vehicle and the pothole, document the entire procedure and then forward the receipt to the city for reimbursement. Cassandra Malott … are you able to get yours covered? Chrystine Jolin I definitely plan on submitting a claim, yeah !!!! Ashley Trainor the city is you me and everybody else that pays taxes. Let that sink in. Cameron Laface There would be 1000s of us. It’s completely ridiculous that you can drive down a street in Toronto and not hit the same pothole twice. Where in Sudbury you can hit the same pothole for years! I think the longest was 6 years. Untouched. Whats it going to take for the city to at least take into account safety? How the same mayor got elected again is absolutely beyond me. Voters apparently accept their tax dollars not going to half decent roads?? Best way to hit a pothole: with a 2 dash cams. 1 on either rear quarter panel looking at both sets of wheels. City won’t pay for a blown tire unless you have evidence that the pothole caused the damage. Another smart thing to do would be to call the city, give them good directions as to where the pothole is. I did that for two potholes, it was fixed quickly. I really worried about my car being damaged, but it was lucky, did not happen. Please, if you see something nasty, just call 311, they are very pleasant. Irene Sacchetto or they can build the roads properly the first time so we don’t have this issue a year or two after a road is fixed. Schuyler James Netzel this happens every year. It’s called living in the north. Jacky Montgrain it’s never been this bad…. I’ve lived here forever and this is the worst it’s ever been and it’s due to the cheap grade asphalt being used…. Schuyler James Netzel Of course, they seem to get the worst contractors to build the roads every time. Honestly, I feel they must get a kickback because they always hire the same contractors. A few bucks in their pockets helps them decide who will build the roads. It’s just like the Liberals with their Lavalin scam. This world is full of greedy people in politics to grease their palms. 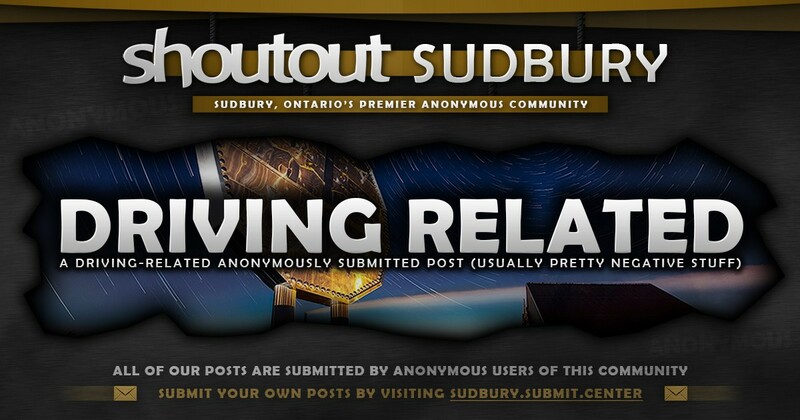 Sudbury politicians are no better. Schuyler James Netzel Of course, they could build the roads properly, but they DON’T CARE, it’s a make work project for everyone. Wouldn’t doubt if all the crappy contractors’ are paying a alittle fee to have their contract accepted. Cheaper is not better, Also, BIGGER is definitely NOT BETTER. We lose every step of the way. I drive from levack to lively to sudbury to hanmer and capreol. It’s a disgrace. I feel bad for everyone having to drive on these roads everyday. Just drove about 45 km, most of which through town. Avoided every pothole except one …that one I crawled through without damaging my car. Again….45km! Careful out there folks, it’s pretty brutal! Lena Slivinski, I do the same if there is no traffic around me and only when I am sure 100% thatbit won’t cause other issues. I even watches a police vehical doing the same just the other day. Everyone should just drop off you wheels and rims at the municipal building doorway..
Fire bigger and all his crony friends….